Alcibiades was one of the most dazzling figures of the Golden Age of Athens. A ward of Pericles and a friend of Socrates, he was spectacularly rich, bewitchingly handsome and charismatic, a skilled general, and a ruthless politician. He was also a serial traitor, infamous for his dizzying changes of loyalty in the Peloponnesian War. Nemesis tells the story of this extraordinary life and the turbulent world that Alcibiades set out to conquer. David Stuttard recreates ancient Athens at the height of its glory as he follows Alcibiades from childhood to political power. Outraged by Alcibiades’ celebrity lifestyle, his enemies sought every chance to undermine him. Eventually, facing a capital charge of impiety, Alcibiades escaped to the enemy, Sparta. There he traded military intelligence for safety until, suspected of seducing a Spartan queen, he was forced to flee again–this time to Greece’s long-term foes, the Persians. Miraculously, though, he engineered a recall to Athens as Supreme Commander, but–suffering a reversal–he took flight to Thrace, where he lived as a warlord. At last in Anatolia, tracked by his enemies, he died naked and alone in a hail of arrows. As he follows Alcibiades’ journeys crisscrossing the Mediterranean from mainland Greece to Syracuse, Sardis, and Byzantium, Stuttard weaves together the threads of Alcibiades’ adventures against a backdrop of cultural splendor and international chaos. 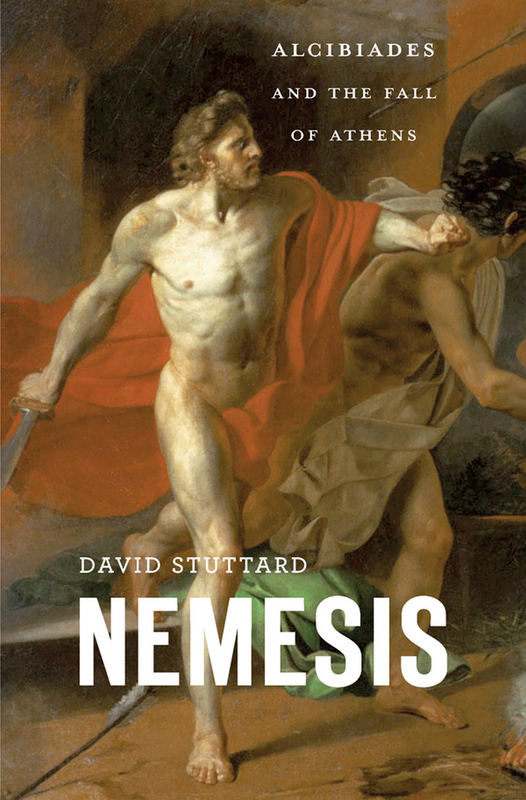 Navigating often contradictory evidence, Nemesis provides a coherent and spellbinding account of a life that has gripped historians, storytellers, and artists for more than two thousand years.